Ryanair is coming under pressure to compensate passengers for cancelled flights due to strike action, including 35,000 customers whose flights were grounded today. The Civil Aviation Authority has insisted that as the strikes are caused by the airline's own staff, the EU261 flight delay and compensation regulations require it to compensate passengers who were not given at least two weeks'notice. Today's strike action by crew in six European countries has led to the cancellation of around 250 flights - 100 of which were grounded at the last minute when pilots in German voted to join the industrial action taking place in other countries. Approximately 35,000 people have been affected, which is around one in 10 of the airline's passengers due to travel today, and most were given no more than three days' warning of the disruption, but the airline is adamant they - and other passengers hit by strikes earlier this year - are not due any compensation under EU261 regulations. Ryanair is arguing that as crew from other airlines are involved in the strikes, it has no control over the events. However, the CAA is advising passengers that if the airline refuses to pay, they should take their claim to its Alternative Dispute Resolution service. Ryanair said in a statement: "No compensation is payable to customers when the delay/cancellation is beyond the airline's control. If these strikes, by a tiny minority of Ryanair crew, were within Ryanair's control, there would be no strikes and no cancellations. "In recent years during which there were over 15 days of pilot and cabin crew strikes in Germany, Lufthansa was not required to pay EU261 compensation. Similarly, the UK CAA should also explain why it took no action against BA during last year's cabin crew strikes." 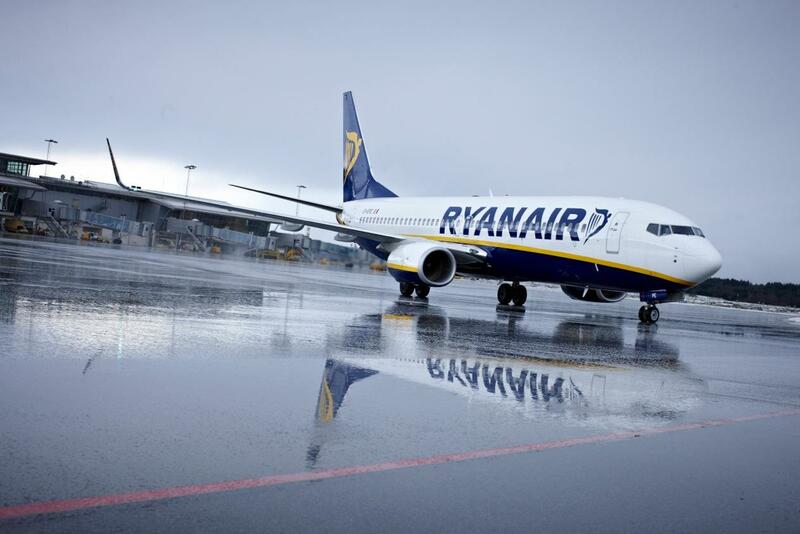 "As these strikes are being promoted and driven by competitor employees, they are regrettably beyond Ryanair's control. "Ryanair sincerely regrets these unnecessary customer disruptions, which have been called by unions at the behest of competitor airline employees." Despite the industrial action, Ryanair said in an update on Twitter this morning that 90% of its flights would operate today.